This moose was trying enjoy a meal in someone’s backyard. 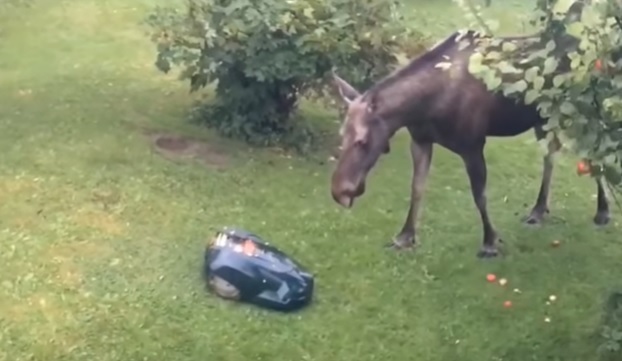 He was nibbling on some fruit on a tree when an automated lawnmower rolled up to him and surprised him. He jumped in the air out of terror and smashed the machine before going back to eating his food.